The Academy of Sciences and Arts of the Republic of Srpska was normatively founded as the most important scientific and artistic institution by the Act on the Academy of Sciences and arts of the Republic of Srpska, passed by the Republic of Srpska National Assembly in 1993 and published in the "Sluzbeni glasnik Republike Srpske" issue 26/93. That created a legal basis for the establishment of the Academy. However, due to the tragic civil war the Academy was not established until the year of 1996. Only after signing the Dayton Peace Accord and the Constitution of Bosnia and Herzegovina (Annex IV of the Accord) according to which the Republic of Srpska is officially recogni zed as a composing Bosnian entity, with its full scientific, cultural and educational sovereignty, we came to the establi shment of the Academy of Sciences and Arts of the Repub lic of Srpska. 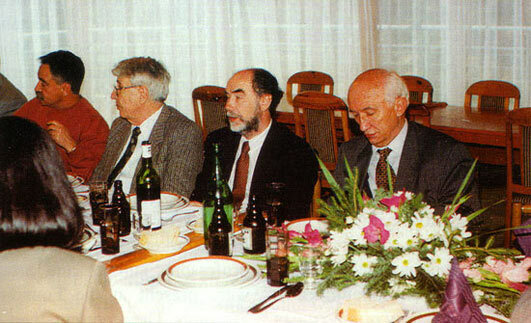 The Academy Board of founding members, composed of nine respectable academicians from Serbia, Montenegro and Bosnia and Herze govina, convoked the Founding assembly on October 11, 1996. That day the gathering took place at the Bistrica hotel on Jahorina Mountain. Sixty-five respectable scien tific workers - academicians, professors, authors and artists were present at the Founding assembly. 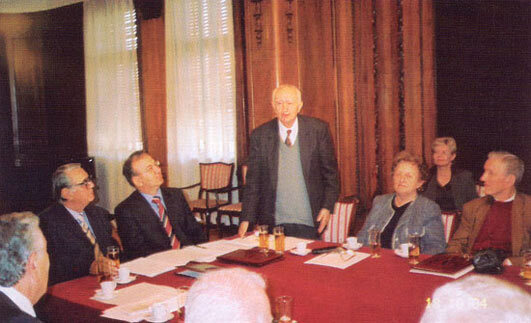 The representatives of the Serbian Academy of Sciences and Arts: academician Aleksandar Despic, president, academician Miroslav Pantic, secretary general, Vladimir Davidovic, secretary, academician Cedomir Popov, president of their Novi Sad branch, academician Vojislav Maric, general secretary and Vera Latov, secretary of the Novi Sad branch; Montenegrin Academy of Sciences and Arts: academician Dragutin Vukotic, president, academician Milorad Mijuskovic, vice-president and academician Milinko Saranovic, secretary general, were among them. 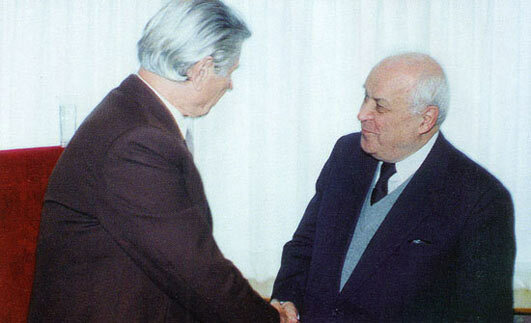 Academician Vojin Komadina was elected secretary general. The following were elected to the Presidency of the Academy: academician Petar Mandic, academician Milorad Ekmecic, academician Desanka Kovacevic-Kojic, academician Manojlo Maravic, academician Slavko Leovac, academician Vojin Komadina, academician Veselin Peric, academician Milan Vasic and academician Radovan Vuckovic. The Academy was situated in Pale until 1999, and since then it is situated in Banja Luka. The Law, kind and character of its work determine the status of the Academy. The academy is an independent institution performing public service in the interest of the Republic of Srpska.